The ancient Roman legions played a key role in rapid expansion and scaling of contemporary Roman civilization. An average Roman soldier was trained to fight in a formation of about 5000 fellow warriors – every such group forming up a Roman legion. Such disciplined fighting tactic played a crucial role in crushing their opponents in battles. It also helped that the Roman infantry came equipped with an armory that served for quick offense and also provided a solid defense. Call it an irony, but however standardized and disciplined ancient Roman military tactics were, any such general criterion was absent in their military armor and attire. 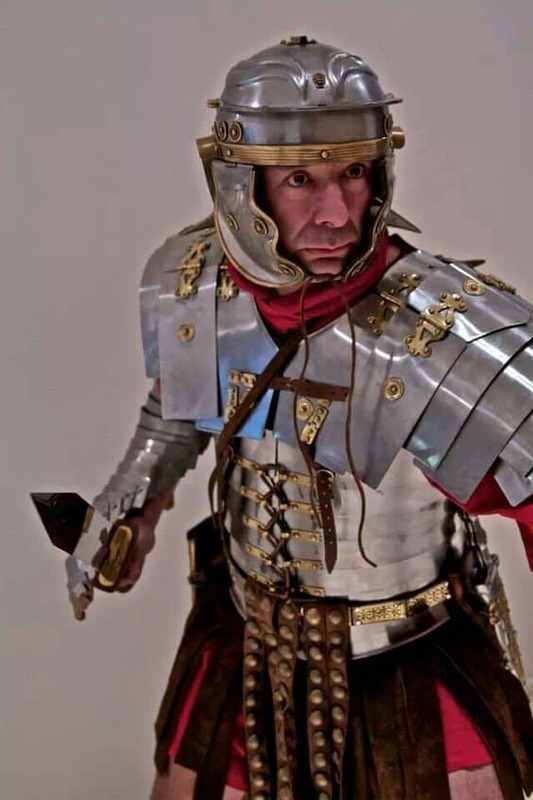 Here is a list of top 10 ancient Roman armor and costume. The ancient Romans called it the ‘Balteus’. 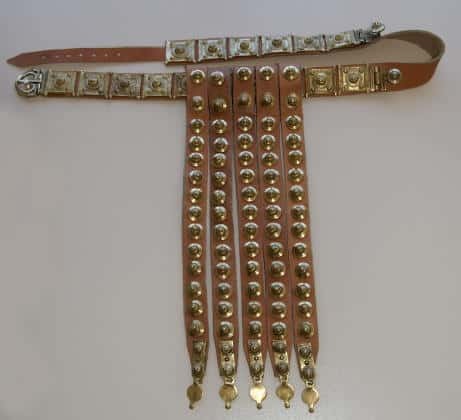 A typical military belt was worn over one’s shoulder such that it reached down the opposite hip. The Roman legions typically used the balteus to hang their sword or any other relevant piece of military equipment. They commonly used leather to mass produce such belts. The highly positioned military Romans preferred their ‘Baltei’ to be decorated with valuable gems, stones and metals. It was towards the among the Roman military ranks. A single belt to support a dagger and the bearer’s tunica took over the tradition of two crossed belts popularly worn during the Augustan era. Often, the single belt was embellished with narrow or wide belt plates. These plates were made up of cast brass with a shiny tin or silver finish stamped into them. The end of a peculiar belt was always rolled and, on occasions, had ball-headed pins attached to it. The Roman legions used different kind of swords that were of varying shapes and sizes. The smallest ones among these were called pugio. These Roman daggers were pretty handy when they had to fight enemies in a very close proximity. Usually the most preferred sidearm, these daggers were equipped with large, leaf-shaped blade 18-28 cm in length and around 5 cm in width. Next in line is the Roman gladius – ‘Gladius’ being the Latin word for sword. In comparison to other medieval swords, these were rather short in length – a typical gladius was only 18-24 inches long. 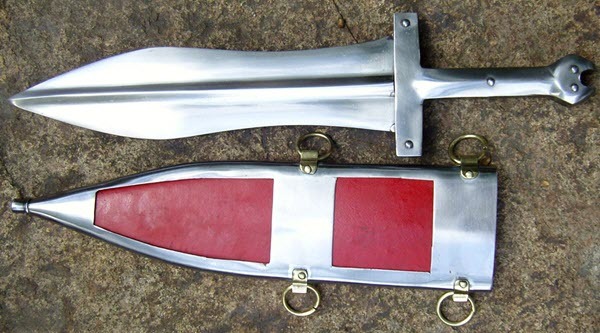 The earliest of gladius were then succeeded by subsequent, more efficient designs. The most popular of these improved swords would be the Mainz gladius and Pompeii gladius. Then there were the long swords preferred by soldiers during the middle and late period of Roman empire. These were called the spatha. These were popular among the Roman cavalry during first century AD. Soon, the Roman legions also followed the suit and switched to spatha around 2nd-3rd century AD. This switch also coincided with Roman military now favoring spears in place of heavier javelins in battles. Until around 2nd century BC, tunic was yet to appear in the scene as a general attire and toga was worn by Romans of both genders. It was a tradition the Romans had continued from their Greek predecessors. It was around the early 3rd century when tunic started to gain more popularity as it was far more comfortable and practical. In following years, almost all Romans wore it on a regular basis. People with a higher stature in Roman society would wear longer tunics, often decorated with stripes and ornaments to reflect their wealth. In the military, they used a shirt like a tunic made from a piece of rectangular cloth (and often wool, cotton or linen to adapt with surrounding climate). In the beginning, the military tunics were sewn sleeveless, but later they were made with full sleeves. A close attention was paid to the length of tunic so as to make it suitable for the rank of the wearer. A typical Roman soldier tunic was usually dyed red with madder or prepared such that it had an off-white color. 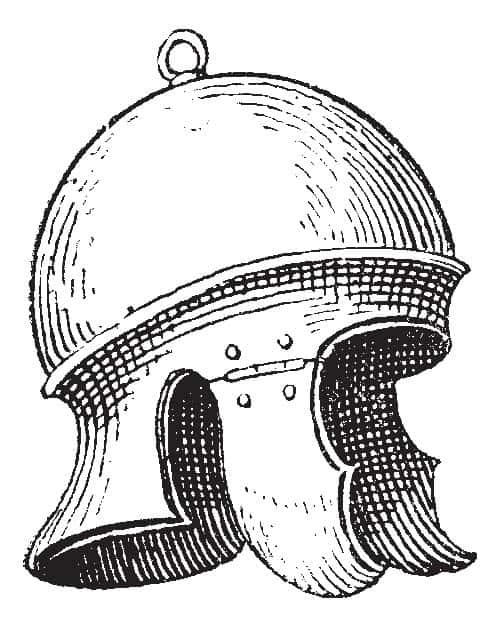 The helmet, or better known back then as the Galea, was a crucial part of an ancient Roman armory. A Roman soldier would wear it to protect his head from attacks in battlefields. Even some gladiators and myrmillones have been documented to have worn bronze helmets with face masks during gladiator fights. Different units of Roman legions and cavalry wore different shaped and styled helmets. Since all of the pre-industrial era helmets were handmade, so it is rather unclear if the Roman Empire had placed certain standards to the Galea’s design and shape. The helmets also had crest holders – these were either centrally mounted plumes or the “U” shaped removable holders attached at the back of helmets. Apart from serving for eye-catching helmet decoration, these crests when attached with particular emblems also served for identification of different infantry units. But again, unnecessary helmet decorations clearly weren’t favored during battles and wars. This is also evident when ancient Roman sculptures and moments show that such decorations were specifically used during parades or festivals. 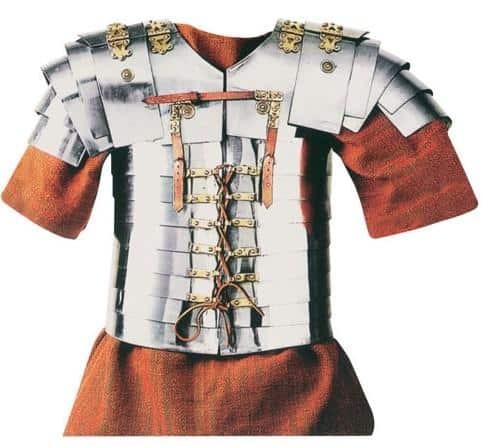 The segmented Armor, also known as Lorica Segmentata was used by Roman empire soldiers as a type of personal armor. It was made up of metal strips or hoops cast into oval bands and then attached with leather straps for proper fastening. The metal strips bore soft iron on the inside and a certain proportion of steel on the outside. The sculptures in the column of Trajan depict various legionnaires wearing the segmented armor. Based on this evidence, it had been interpreted that this armor was donned by legions only. But many historians also state that the depictions in Trajan’s column only stylized the portrayal of Roman armor making the portrayals rather inaccurate. Many consider these sculptures as added impressions and not the historically accurate representations. Eventually, any use of segmented armor ceased to exist in ancient Rome – the main reasons being its costlier manufacture and tedious maintenance. 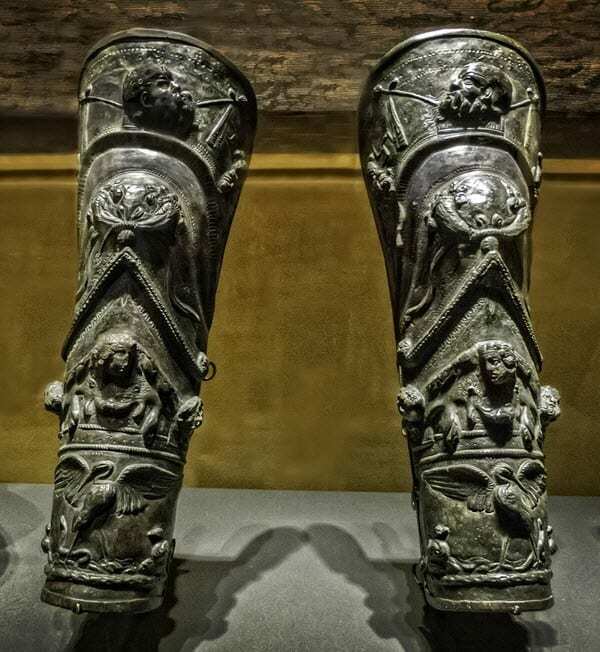 Greaves were used as protective leg armor by Roman officers (Optio and up). The ones frequently used were made from bronze and were also called ocreae. These leg armor primarily helped the bearer protect the vulnerable tibia bone from sword or dagger attacks. This bone is covered by a very thin layer of skin and, if not properly guarded, is prone to injuries from easy attacks. The Romans knew very well that a good jab to the shin could gravely injure their soldiers and render them hapless in the battleground. This is where the greaves came in as a vital protective layer for the tibia and shin. They used a metal exterior padded by a softer interior for a comfortable fit on the bearer’s leg. The extra padding also helped to absorb shock from incoming hits on the armor, thus dissipating chances of damaging the shin from such blows. Interestingly, during the Caesar’s reign, the legions were required to wear only one greave. They were provided with a four-feet tall shield to cover the other leg. The mail (also called Chain mail) is an armor made up of small metal rings meshed together in a pattern to make a strong protective layer. When the Roman found the Gauls using this armor during the days of Roman republic, they decided to incorporate it among their ranks in the form of Lorica Hamata. During the imperial Roman era, this Roman iteration of mail armor became the primary protective clothing among the legions. Each complete piece of Lorica Hamata would consist of small iron rings, each ring interconnected with at least two other rings right above or below it. The chain-mailed structure proved adequate in preventing possible cuts from slashing blades. It also warded off lethal penetration from spears and arrows. On the downside, it could not absorb the massive shocks dealt by powerful blows through its rather thin ring layering. Such massive trauma inflicted from bludgeoning attacks easily led to severe injuries to the bearer. A well-placed spear could easily crack ribs or dislocate collar bones. In the later iterations, the mail armor was padded with soft garments to protect from impending shocks. The arm guards were quite popular among Roman gladiators in their early years. These were made from casting iron or bronze and were fitted with curved or overlapping plates of metal. Leather straps were used to fasten them onto the wearer’s arms. Known back then as Lorica Manica, these were regularly worn by a group of gladiators known as crupellarii. It was only much later when the Roman soldiers realized its efficiency in warding off blade cuts to arms. Historians found that a typical manica would include a shoulder plate, a number of metal strips and an additional 90 leather stripes for a tight and comfortable fastening. It was then given inner padding so that it could absorb shocks from powerful spear attacks. Perhaps the biggest evidence that arm guards gained eventual popularity among Roman soldiers can be seen in the tombstones of Sextus Valerus Severus and Gaius Annius Salutus. The presence of manicae as a part of the decoration in their tombs along with other weaponry further cements the fact that arm guards had become an integral part of Roman armor at a point. Lorica Squamata was the name given to scaled armor popularly donned by centurions, cavalry troops, infantry and even legionnaires in ancient Rome. This armor consisted of small metal scales sewn with a fabric backing. Structurally and dimension-wise, it was much similar to the standard mail armor. Its length reached the bearer’s mid thighs and the shoulders were fitted with capes. 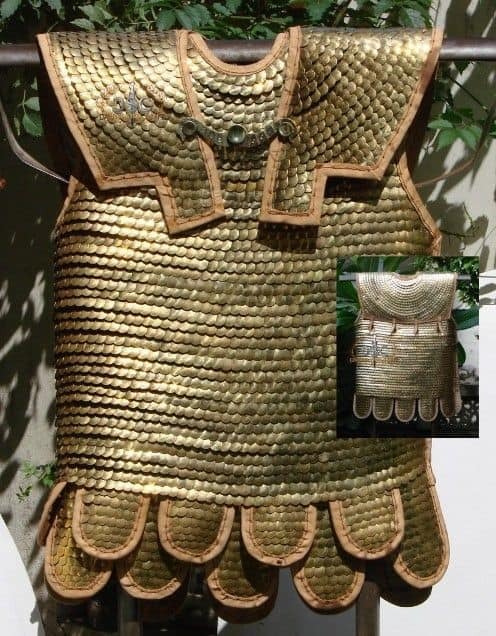 For ease of use, it is possible that the armor could be donned from the back side or down through one side – the openings then closed using comfortable knots. Each scale armor was constructed from individual scales called the squama. The soldiers favored the scale armor over the mail armor since it provided a better defense against bludgeoning. But again, the scale armor has also been documented to be quite vulnerable from offenses that included a quick upward thrust. Perhaps this vulnerability was much exaggerated as the scale armor was as extensively used beyond the Roman empire especially in Persia and Byzantium. Caligae are the legendary military shoes worn by ancient Roman legions and cavalries alike. The Caligae were the heavy soled boots extensively used by the troops of ancient Rome throughout the republic and imperial era. 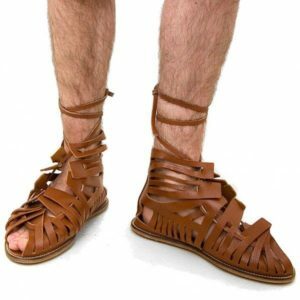 These shoes have truly been symbolic of the rise of ancient Roman empire with the marching cavalry expanding borders far beyond the previous bounds. The Caligae were strikingly different from current military boots. Air could pass freely to the bearer’s feet and these were particularly good at reducing chances of getting blisters from non-stop marching. It also helped that chronic foot disabilities such as tinea and trench foot were also curbed by regular use of these shoes. Caligae was most common among soldiers up to the rank of centurion as they did most of marching. Similarly, horsemen wore especially design equestris, and fighters wore shoes fitted with iron nails beneath the sole for better traction in the battle ground. The shoe was also bound by a strip of soft leather right around where shin of the foot would be, and the toes were always left bare. When the Roman Empire took over from the Greek, they stretched far beyond the known boundaries. Where the Greeks were lost in their own elegance and grace, the Romans devised new armories and broke the natural barriers of rough weather and terrain for rapid expansion. Their armies had to march to the furthest of lands, so they came up with Caligae. They had to battle against rough adversaries like the barbarians, so they came up with armors that provided the best offense and defense in contemporary times. It was their more pragmatic yet realistic approach that took the Roman civilization to such great heights. Wow, you are very knowledgeable on this subject! I’m impressed with your excellent pictures and detailed descriptions. Our son is in prison and he makes key fobs and hat bands out of hitched horsehair and leather. He asked me to look online to see if I could find pictures of armor used by the Romans. He would like to make small replicas out of leather. Thank you for posting your fantastic research. It’s a great place for me to start and I learned a lot!